Whether you have a small business or a large corporation with dozens of employees, having a customer relationship management (CRM) platform is essential to long-term success. CRMs are the latest in the modern pantheon of standard business technology, and one of the most valuable. While this software may be essential, it is also one of the most practical and beneficial purchases you will ever make for your business. 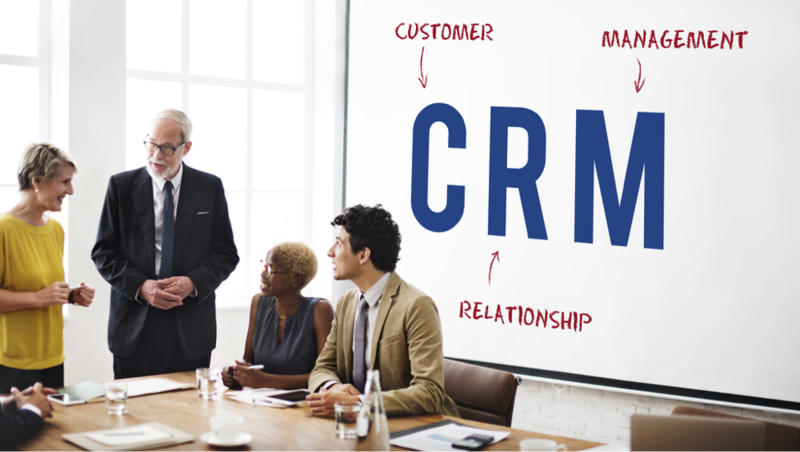 Let’s look at the different ways CRM can help your business. ‘Data organization’ might sound boring, but it is actually one of the best things you can do for your business. CRMs look at your relationships with customers as well as your sales information to gain insights. While you could keep a myriad of spreadsheets and contact lists, a good CRM is going to pull all that information together into a single source of truth – and that alone can make a big difference. Your CRM will help you see which of your efforts are most successful, like a personalized email that has a high conversion, and which should be abandoned, like calling customers to check on their satisfaction and not having anyone ever pick up. The right CRM will also collect and correlate customer data and information from your interactions so that you can respond proactively to their needs. CRM can also help your employees work as a team. Because every interaction is recorded in your customer relationship management platform, everyone who works for you is going to have context when they interact with your customers – and that’s important. When your team can leverage each other’s notes and documentation to upsell, cross-sell, or simply provide the best customer service possible, they can function as one. In turn, your customers will feel like they receive more continuity when interacting with your company. They won’t feel like they have to repeat crucial information each time or that each interaction is starting over. Instead, each conversation feels like a continuation of a previous one. It’s not only more convenient; CRMs can also help you start to anticipate your customers’ needs. CRMs can use all the information they collect to generate reports. You will be able to see performance metrics that let you know what is working. It could be the best time of day to send an email, who prefers to receive a phone call, and which customers are most likely to make a purchase after receiving a promotion – and that’s just the beginning. The CRM can also help your employees see the information that is most relevant to them. This way, your marketing wiz won’t have to sort through notes from customer interactions and your customer service won’t have to look at which customers preferred more vibrant colors in their marketing messages. Automated communication is one of CRM’s biggest strengths. Keeping in contact with your customers can take a significant amount of time. You could hire someone to write all those emails and send them out on a schedule, or you could let your CRM do it for you. Your CRM can help your team nurture leads by consolidating the leads your people to collect and sending out the right marketing messages at the right times. It will also help you spot which customers are not likely to return and identify how you could persuade them to give your brand another shot. Moreover, this customer relationship management platform can segment your customers so that you only send information that is tailored to their preferences, like noting that this group of customers seems to love your small widgets while another group only buys in large bulk. CRM is the best decision you can make for your business, but be sure to learn your CRM software. By investing in the right software, you will be able to collect and organize data, work better as a team, and generate reports at will. CRM also lets you automate communications, nurture leads, and collect notes on customer interactions so your people always have context. The software can also let you access social data and track your performance in a variety of areas so you can make your business the best it can be.